Daniel R. Martin, M.D. is a Professor of Emergency Medicine and Internal Medicine at The Ohio State University Wexner Medical Center. He is the Program Director of the Emergency Medicine Internal Medicine Residency Program and he is the Vice Chair of Education for the Department of Emergency Medicine. Dr. Martin served as the Program Director for the Emergency Medicine Categorical Program at The Ohio State University Wexner Medical Center from 1990 to 2010. 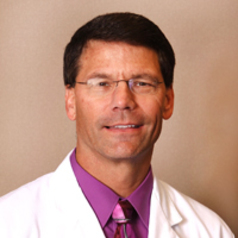 Dr. Martin received his medical degree from Indiana University School of Medicine. He completed his Internal Medicine Residency at University of Iowa Hospitals and Clinics and then completed an Emergency Medicine Residency at the Medical College of Wisconsin serving as Chief Resident during his final year. His clinical interests include the treatment of infectious diseases in the emergency department, trauma management, emergency medicine education and patient satisfaction. His research interests are the ED treatment of infections, such as pneumonia and respiratory infections as well as medical education research. Dr. Martin is Chair of the SAEM Medical Education Research Interest Group and has serves as an ACEP Councilor. Dr. Martin serves on a number of committees in our Department of Emergency Medicine, the College of Medicine and the Medical Center along with being an active member in national organizations such as SAEM, the Council of Residency Directors (CORD) and the American College of Emergency Physicians (ACEP) to name a few. He has lectured as a Visiting Professor both regionally and nationally on topics such as Respiratory Infection, Case Studies of Infectious Emergencies, Recognizing and Reducing Cognitive Errors in Medicine and Applying Leadership Literature to Emergency Medicine.